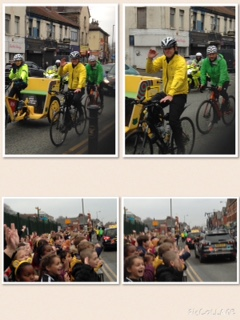 We have had a busy start. 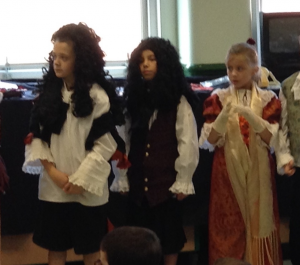 In September we went back in time and visited every period of history along a living time line. We all became poets with the help of a visiting writer Pauline from North End Writers and Olivia from The Old Library in Lister Drive. 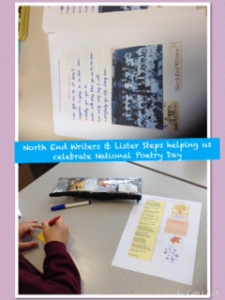 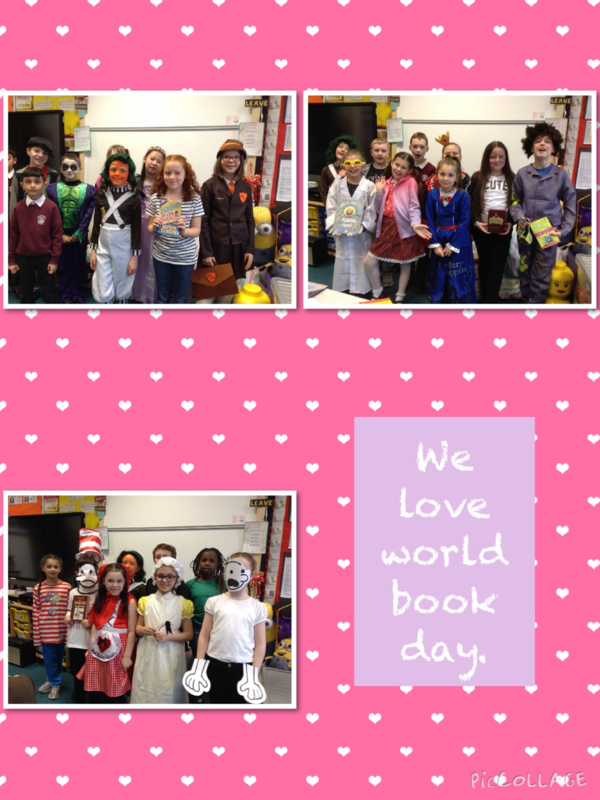 They helped us celebrate National Poetry Day. 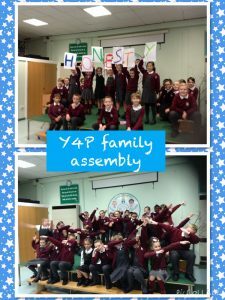 We would like to thank all our family and friends for being an excellent audience for our family assembly. 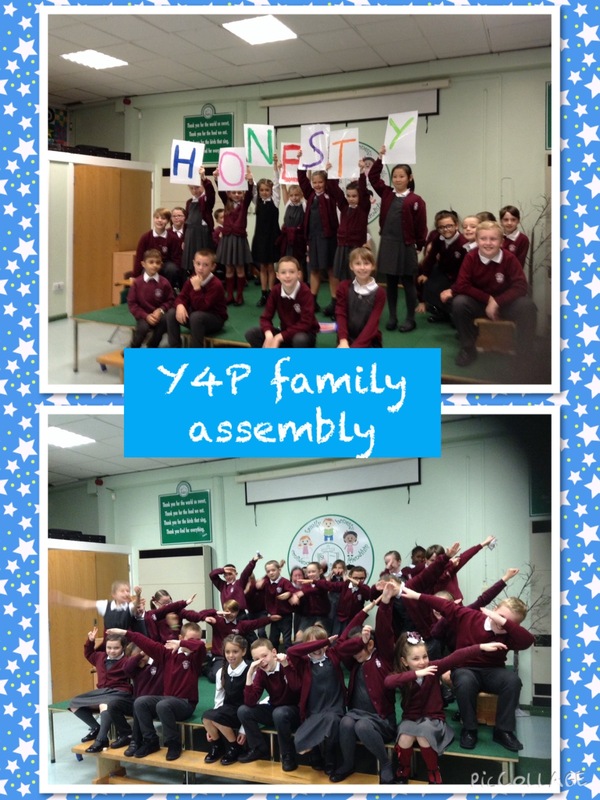 We hope you enjoyed it and understood the message about the importance of being honest. 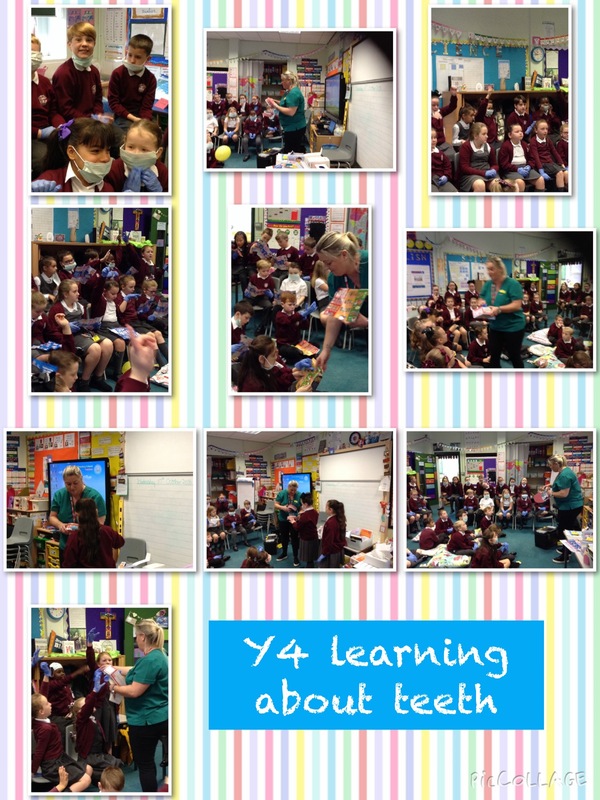 In Science lessons we are looking at Human nutrition. 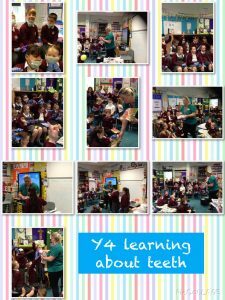 Jo from our local dental surgery :- The Dental House came into school to show us how to look after our teeth, because teeth play an important part in the nutrition process. 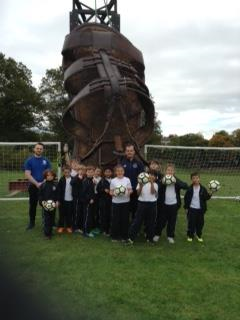 In November we had a visit from Bully Busters. We now know what bullying is and how to stop it, if it happens. 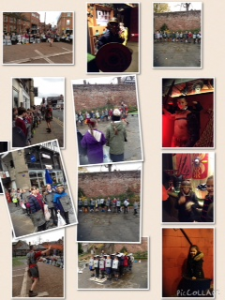 We visited The Dewa Museum in Chester to find out about the Roman invasion of Britain. 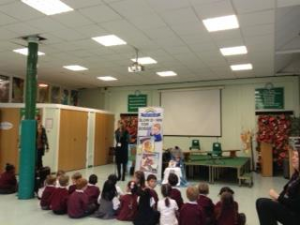 On Monday 19th November we had a visit from an author. 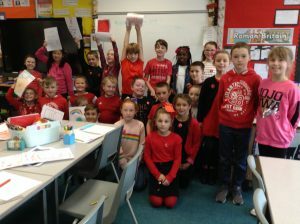 Jude Lennon from the Slow Down for Bobby campaign came to read us her new story and remind us about the importance of road safety. 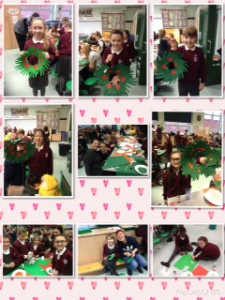 December has been a very busy month so far. We have been rehearsing our Christmas Production, learning how to use Sketch Up to design Roman villas and we found time to invite our families into school to help us with a craft project. 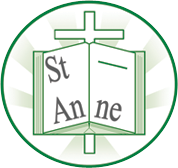 We are looking forward to a visit from Father Christmas at our school grotto, performing our Christmas service in church, performing in our Christmas Cracker concert and going to the cinema as a special end of term treat! We have come back to school ready to work and play hard. We enjoyed watching Altru Drama perform Alice In Wonderland on our first day back. What a super time we had thanks to Classroom Kitchen. 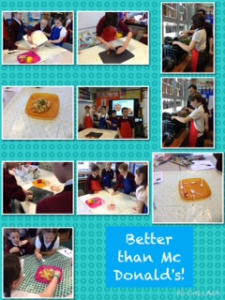 We had great fun learning how to cook Paella. We have started Life Skills lessons thanks to Barnardo’s. 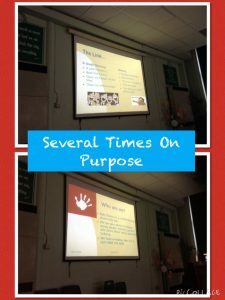 We are working towards our level 1. 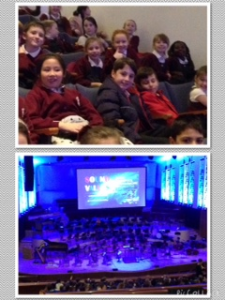 We listened to The Royal Liverpool Philharmonic Orchestra to help us learn about British Values. In Science lessons we discovered how to change a solid into a liquid then back into a solid. Yum Yum! 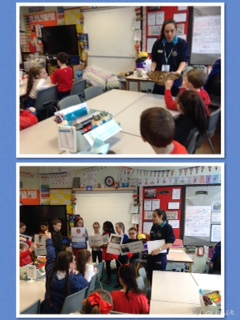 Chester Zoo came into school and ‘Talked Rubbish’ to us. 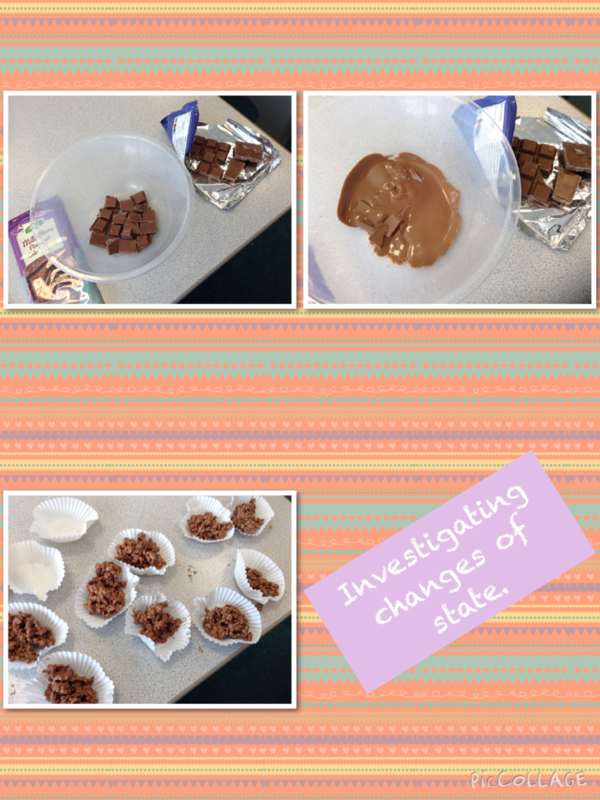 We found out the impact of disposing waste in the wrong places has on animals. 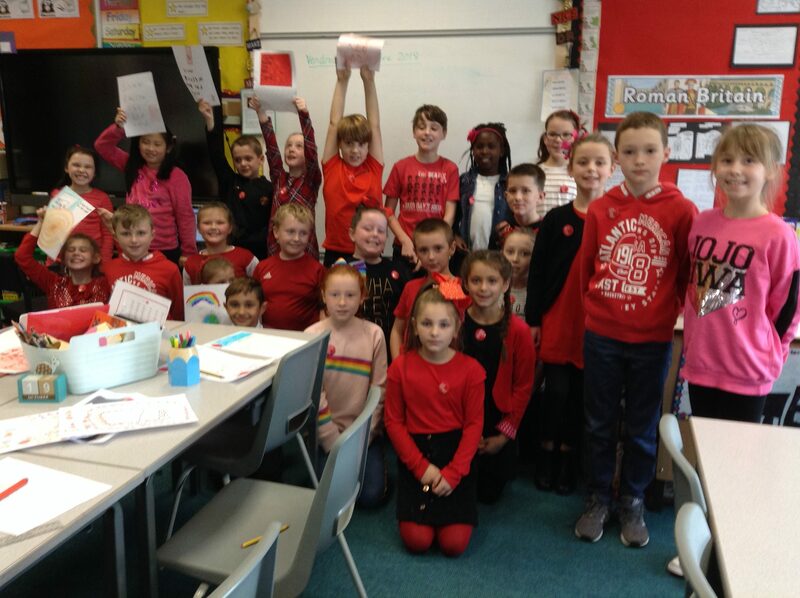 We were also helping raise money for Comic Relief and Wear Blue for Bobby. That is why we are not in uniform. What a busy day! 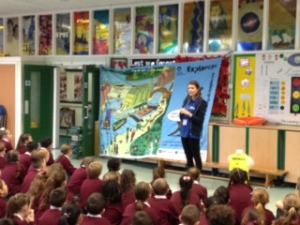 Summer is coming and lots of us will be out near water so The Canal and River Trust visited and presented an assembly about water safety. 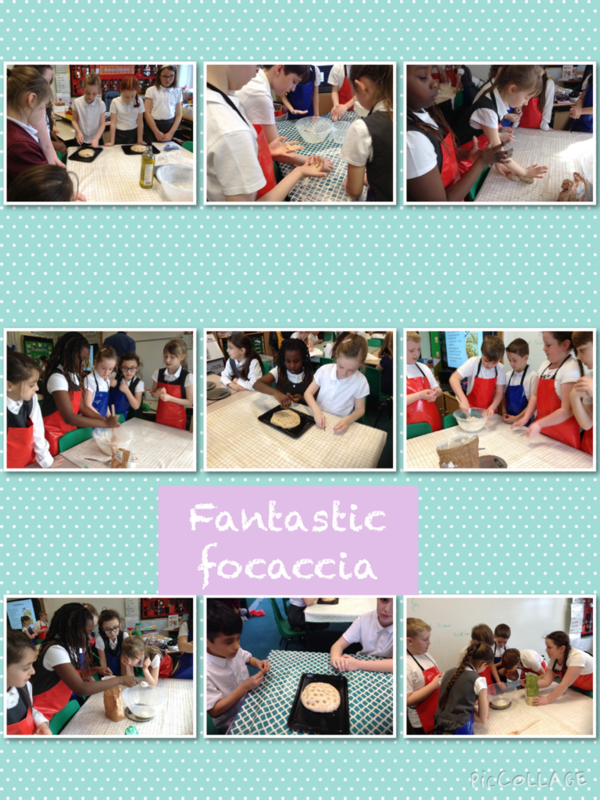 Classroom Kitchen returned and we now know how to make Focaccia Bread. 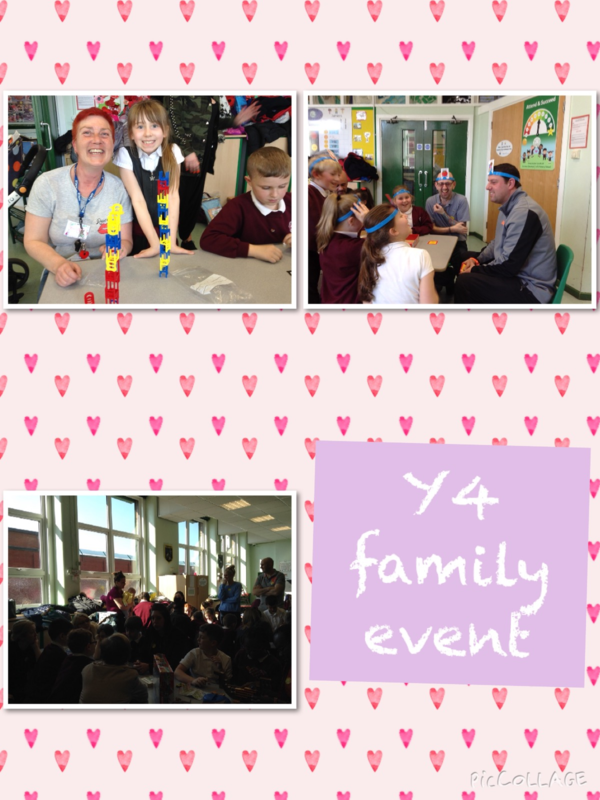 We made some lovely memories with our families during Family Event.